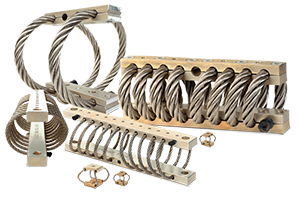 Established in 1966, ITT Enidine Inc. provides differentiated products and services to the Industrial, Aerospace, Defense, Rail and Transportation markets throughout the world. ITT’s global resources, six-sigma and lean manufacturing provide ITT Enidine Inc. the resources to stay at the forefront of new technologies, research & development and high-quality production for our customers around the world. ITT is a diversified leading manufacturer of highly engineered critical components and customized technology solutions for growing industrial end-markets in energy infrastructure, electronics, aerospace and transportation. Building on its heritage of innovation, ITT partners with its customers to deliver enduring solutions to the key industries that underpin our modern way of life. Founded in 1920, ITT is headquartered in White Plains, N.Y.